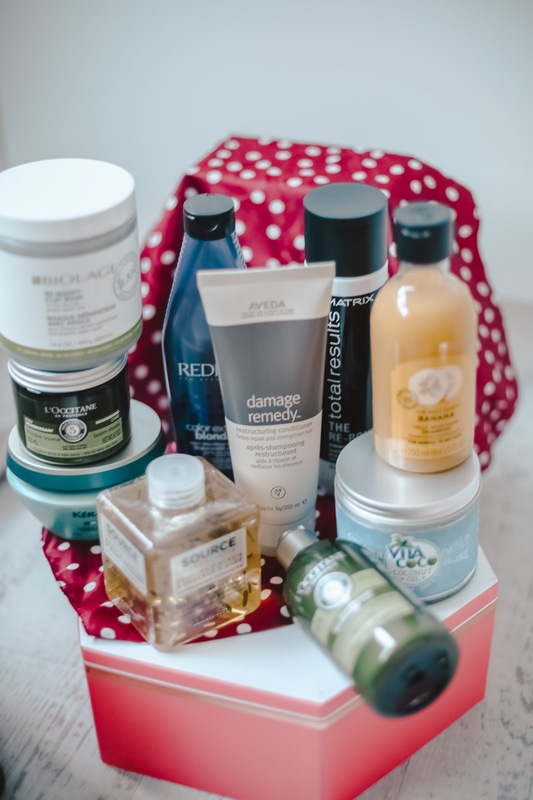 As a follow up from my recent blog post with my top hair growth tips, I thought it would be good to write a blog post featuring all the best products for growing the hair. Over the years, I have used a lot of hair products and I have also had incredibly weak damaged hair. You can read my hair growth tips post with my tips on how to fix damaged hair and also find out about my hair journey. I hope this blog post will help anyone trying to get their hair strong, long and healthy. Favourite Shampoos - I tend to use good, high-quality shampoos rather than shampoos coated in silicone. Shampoos packed with silicone just make your hair look shiny but they're not actually doing anything. I do use A LOT of hair products as I take my hair care very seriously so these are some of the best hair products for growing and strengthening the hair in my shower this last year! Remember though, you can overuse products so don't weigh down your hair every day with products. I try to wash my hair every 2-3 days and on days when I don't need to wash it, I will try and leave it even longer. It's good for the hair and the natural oils to let it get dirty and to use no heat whatsoever. It's also important to remember that hair growth comes from a lot of things like not using heat, treating the hair like silk and getting regular trims, shampoos and treatments help that equation. L’Occitane Nourishing Care Shampoo - Online here. I absolutely love L’Occitane skincare so I was bound to love their haircare too. This particular shampoo is ideal for dry to very dry hair, it gently cleanses and deeply hydrates the hair but nourishes it too, your hair will feel so soft and happy. Online here. The Body Shop Banana Nourishing Shampoo - Enriched with real banana puree from Ecuador (yup, really!!! ), this cleansing shampoo is an actual dream come true. I have always loved The Body Shop because they use so many natural products and I am cautious with what I use on my hair so it truly made my life when I came across this range. Not only does it smell incredible, but it's also full of goodness too for nourished hair. Online here. L’oreal Professionnel Acacia Leaves & Aloe Essence - I was incredibly impressed/excited when L'Oréal Professionnel launched their Source Essentielle Daily Shampoo, This product gently cleanses and purifies the scalp to eliminate impurities and excess oil. We don't realise how much gunk gets stuck on our scalp and this product leaves you feeling so cleansed. With acacia leaves and aloe essence and made with 80% natural origin ingredients (there we go again, an amazing product full of natural goodness), it is designed to be the perfect everyday shampoo to improve the hair's body, suppleness, shine and vitality, without weighing hair down. Online here. L’oreal Elvive Dream Lengths Shampoo + Conditioner - I was really excited to hear about L'oreal's Dream Lengths range. The longer your hair gets, the more it goes through and the more damaged it becomes. L'Oréal Paris Elvive Dream Lengths Long Hair Shampoo is enriched with Keratin, Vitamins and Castor Oil which are all great for hair growth. This shampoo cleanses and helps to reinforce the hair. It helps to protect against breakage and reduces the appearance of split ends. Online here. Mane N Tale Shampoo - This is one of the first products for hair growth I got my hands on and I have been using it ever since. I always have one in my shower. Everyone swears by this for hair growth and there are so many reviews saying this helps to grow the hair, it's really affordable too which is a bonus. I do find high quality shampoos tend to be the most expensive so it's good when you find a good one that doesn't break the bank. Online here. Kerastase Bain Extensioniste Resistance - This product is designed to strengthen the hair from the inside so obviously, I was sold immediately. Kérastase Resistance Bain Extentioniste, is a fortifying shampoo that uses amino acids and ceramides to improve elasticity from root to tip. I started researching how to grow your hair SO much that there are now certain ingredients/things I look for in products and amino acid, biotin is usually on that list. This range is designed to target weakened and brittle strands of hair, and actually, rebuild the hair’s internal structure to make it more resistant to breakage. I swear by both Redken and Kerastase, I honestly don't think you can go wrong with these brands. Online here. Matrix Total Results The Re-Bond - This is great for really damaged hair as it's designed to strengthen weak strands. As well as smoothing frizz, Matrix Re-bond is meant to gently repair the damage caused by heat styling or chemical treatments. My hair feels so soft and I really trust Matrix. Online here. Aveda Damage Remedy - I've been the biggest Aveda fan for as long as I can remember, I love how natural their products are. Damage Remedy by Aveda is a must-use in the shower, it's 98% naturally derived and this range is meant to protect the hair from heat styling and reduce breakage by 90% in just one week!!! Online here. There are obviously SO many amazing shampoos on the market to strengthen hair, my favourite brands tend to be Kerastase, Aveda, L'oreal Professional, Kiehl's, Redken, Mane N Tale, Bumble, Nexxus, OUAI for hair strength and I'd be happy to use any of their products as I trust them. 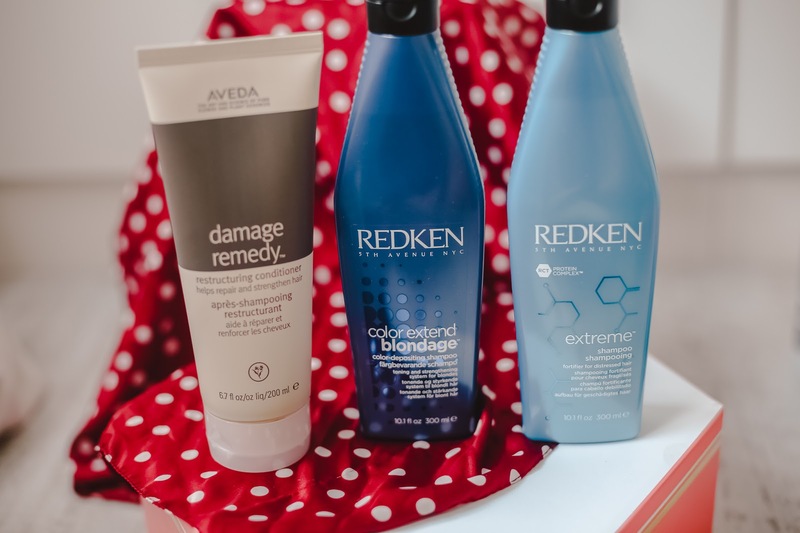 I love L'Oreal, Maria Nila, John Frieda and MANY more to keep my hair colour vibrant but that's another blog post for another day, today we are focusing on the best products to strengthen damaged hair! Many of the above products will keep your hair fresh and colourful whilst strengthening too. 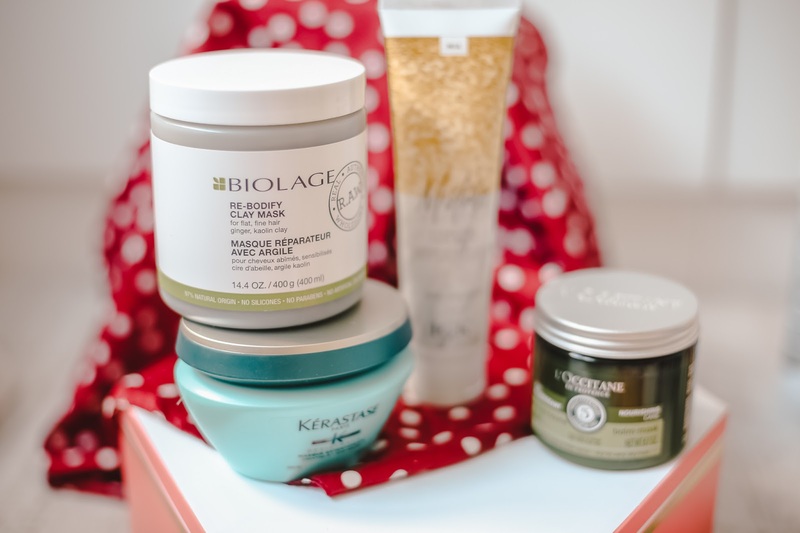 Hair Masks - I try and sleep in hair masks or do hair treatments at least once a week, so when you don't have plans, I'd highly recommend sleeping in a hair mask or going to your salon for a treatment. I regularly get the liquid hair treatment at Sassoon (I go to Sassoon salon in Leeds) and it's epic, I have also had a treatment with Redken before at LockOnEgo and my hair never felt so good and strong, it's something I need to book in for again. Try and treat your hair to a few salon only treatments once in a while where they put you under the heat. It's worth the extra money. As I say, hair masks shouldn't be overused just like the hair shouldn't be washed too much. I focus hair masks on the ends of my hair as you don't want a build up of products on the scalp. 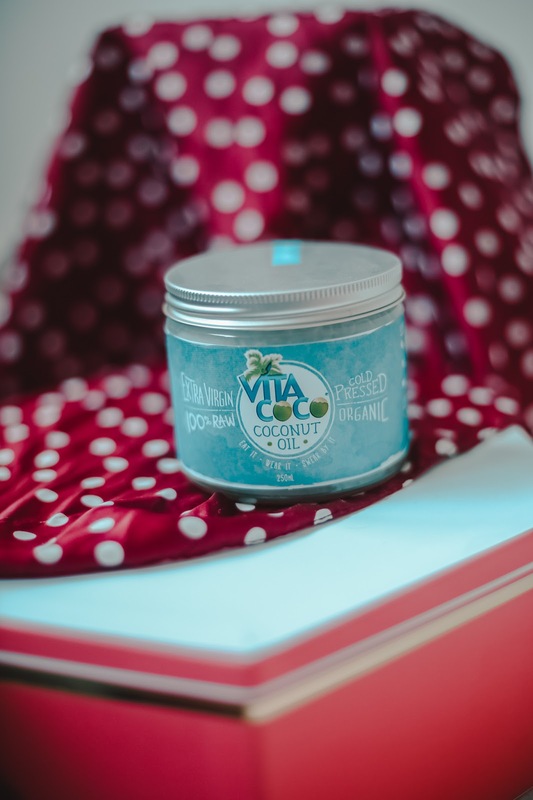 Vita Coco - Coconut Oil - Coconut oil isn't just for cooking, did you know it's also great as a hair mask? People have sworn by coconut oil for years and I always take a tub of Vita Coco with me just in case! I find it works great as a hair treatment just through my ends (it can be VERY greasy as obviously, it's oil) but it completely nourishes my hair. Leave it on anytime from 30 mins to overnight and then triple wash the next day, your hair will be so nourished! Online here. Hair Oils - There are SO many good argan/Moroccan/whatever oils on the market right now, I say 'whatever oils' because they seem to bring out new oils every day. I like Maria Nila, Moroccan Oil and Kiehl's (Kiehl's have been one of my favourite brands for YEARS so I was over the moon when I saw they'd started doing natural hair products too). I think these are great for putting through the ends of the hair when it's wet after washing and then blow drying through. L’Oreal Dream Lengths Elvive Heat Mask - I was so excited to see L'Oreal launch a heat mask because we all know that putting heat on things can activate them. This is a balm enriched with protein and castor oil to nourish the hair and it comes with a tissue cap infused with self-heating lotion, it's like a serious treat for your hair and it's affordable too. Online here. Hello Jo Pack Of Power Hair Mask - I fell in love with Hello Jo as soon as I came across the brand, the products are so innovative. These are the first ever hair sheet masks I've seen and okay, they're epic. The reason they're sheet masks? Hello Jo understand that we shouldn't clog the scalp and this ensures it works the length of your hair. You tie your hair into a pony and drop it into the mask bag for 30 mins. They're pre-infused with caffeine which is meant to support hair growth and reduce damage. Hello, luscious hair. Online here. L’Occitane Balm-Mask - I think this is such a good nourishing mask if your hair is dry, it's free from silicone too yay plus it's full of natural essential oils to make the hair feel stronger and more supple. Online here. Kerastase Resistance Masque - We all know that Kerastase does the BEST hair strengthening products, with hair strength comes hair growth. This mask penetrates the hair to restore strength and boost elasticity. It's meant to revitalise hair strands PLUS this is enriched with six amino acids to promote strong hair, no wonder it's so good. Online here. Biolage Re-Bodyify Class Mask - I really love Biolage as their products are very natural. This clay mask is good for a deep cleanse and doesn't shed the natural oils plus it strengthens the hair. Online here. Scrubs - I swear by good scalp scrubs because so much grime and product builds up on our scalps. These are really good to fully cleanse the scalp and reinvigorate it. I've been using IGK walnut scrub from Space NK and Ouai scalp scrub (Ouai is one of the best, high-quality hair brands ever and if it's good enough to use on the Kardashian's hair, it's good enough for me). L'Incroyable blow dry by Kerastase - I've been buying this product for years ever since my hair dresser recommended I use it before blow drying my hair. Kerastase uses heat-sensitive beeswaxes that melt when heated so it helps your hair stay in place but also means you have protection for up to 96 hours!!! - online here. Nexxus - I'm yet to come across a Nexxus product I don't love. I think the reason I love Nexxus so much is because there's so much science within their products, they work well because so much work and research has gone into these products. Nexxus do incredible products but also oils/treatments including their protein infusion to revive damaged hair. They basically sell salon treatments you can do at home, not to mention their caviar and protein treatments to condition each strand of the hair and give a pre-damaged feel, without the price tag of visiting the salon all the time. Online here. Favourite Heat Protectors For Hair - I mentioned in my hair growth tips blog post to always use a heat protection spray if you're going to be using heat, I use Bumble and Bumble hair primer (all of their products are incredible but this is a major multitasker) or you cannot go wrong with VO5, Batiste (they even do heat protection now yay), Tresemme and GHD heat protection sprays are good too and are always in my stay over bags haha. I ensure I spritz one anytime before heat touches my hair. 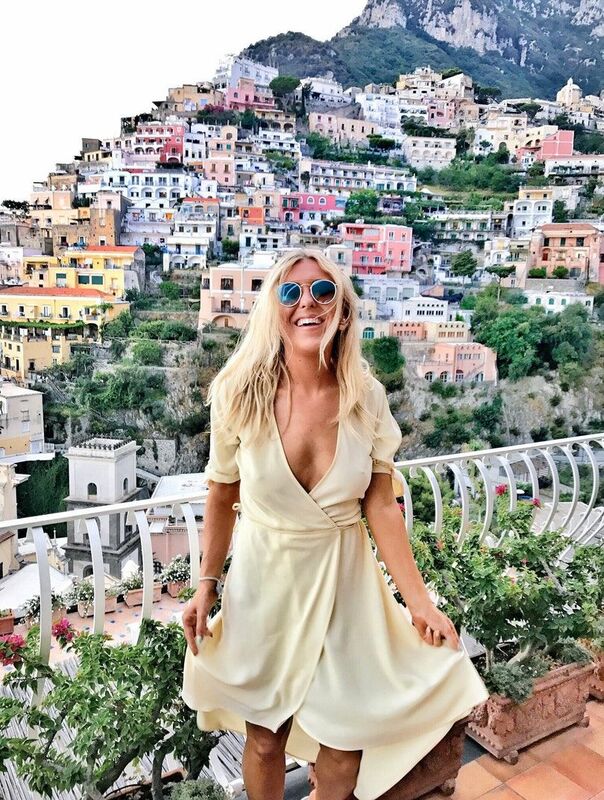 The Best Heat Tools - If you are going to use heat on your hair, as mentioned, I absolutely swear by the Dyson Hair dryer as it's been engineered deliberately to ensure the hair isn't damaged by extreme heat as much so you can actually style your hair. It goes without saying that I adore ghd, all their heat products are just the best and their hair dryers give my hair the best volume, ever. The Ghd air hair dryer is meant to dry your hair in half the time meaning less heat on the hair. Another reason I adore ghd is because so many of their products give back to breast cancer charities so you're giving back by buying their products too! So there we have it! If you're wanting to grow your hair and wondering how, don't forget to read my hair growth blog posts below too. Please do comment and let me know of any products you love for strengthening and making your hair grow.